I am new to boats with not much experience, last summer 2018 I bought a wooden boat 25 ft with 1.5 bmc inboard but unfortunately after a few month the engine let me down a few times and I was lucky to avoid disaster not the boat is out of the water and I am in the middle of changing the engine. 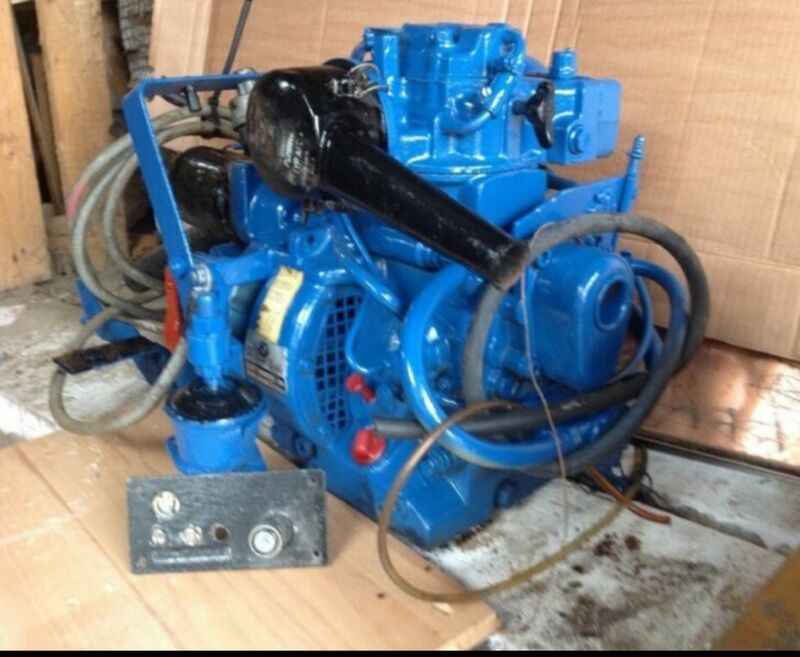 I manage to get hold of a good running Perkins Prima M50 now I have the problem of fitting the new engine to the current gearbox. The gear box is Newage PRM Delta20, the problem the housing on the gear box is designed for the bmc with the starter motor on the right and the Perkins starter on the left. I am updloading a few photos and any advice will help. Delta box will not fit the Perkins, the BMC flywheel housing is part of the gearbox assembly. What's wrong with the BMC? They are easy to repair, it will be simpler than re-engineering your boat mountings to fit another engine. 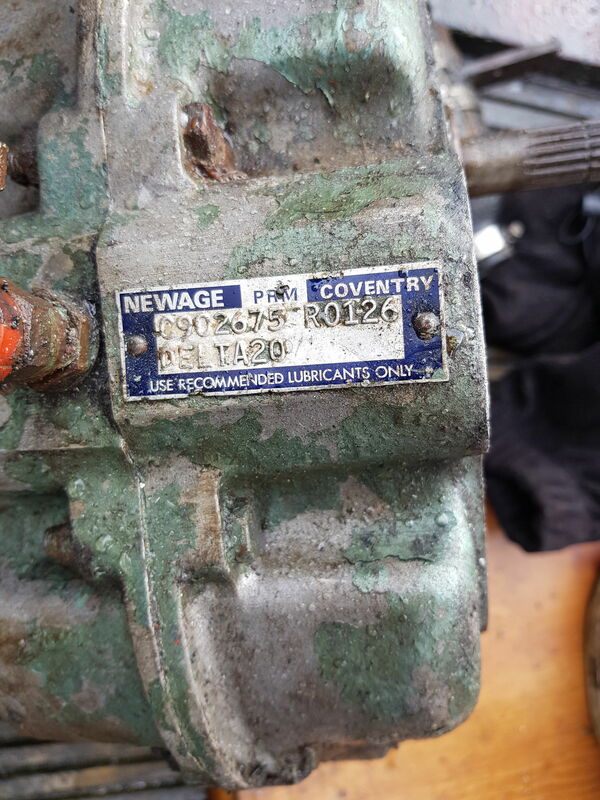 Its a pity you ve wasted money on a prima........find a proper Perkins like a 3/152D or a 4/203D,with a round #3 SAE housing,and a gearbox will be easily fitted. I had to keep it wet and filled with water to keep the wood damp, Its like a project for me, getting the engine and the transmission done first then I will sort the rest out! 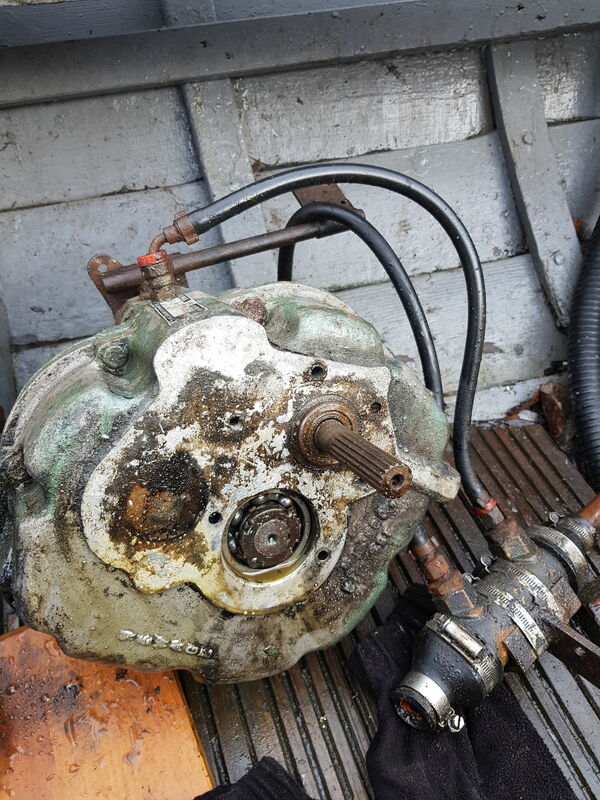 The bmc develop a bottom nocking noise and had a problem with the fuel pump, alternator and the the starter was sticky this why I thought finding different engine will take the hassle away with it been my first boat I really didnt have much experience of what to do. Just some friendly advice realy. If I were you I would stop spending and cut my losses. Doing an old boat up that needs just a bit of work will cost many thousands likely and a lot of work will be even more. We have all heard that term " Project " many times over the years and it often doesnt bode well. Remember BOAT stands for Bring out another thousand. I have little knowledge of that Perkins engine but if there is a solution Lancing Marine down near Brighton are the first place I would try. Find them on Google. Also that old engine has a value, if you get into big problems with the boat then rebuilding the BMC and selling it could be a relatively easy project. 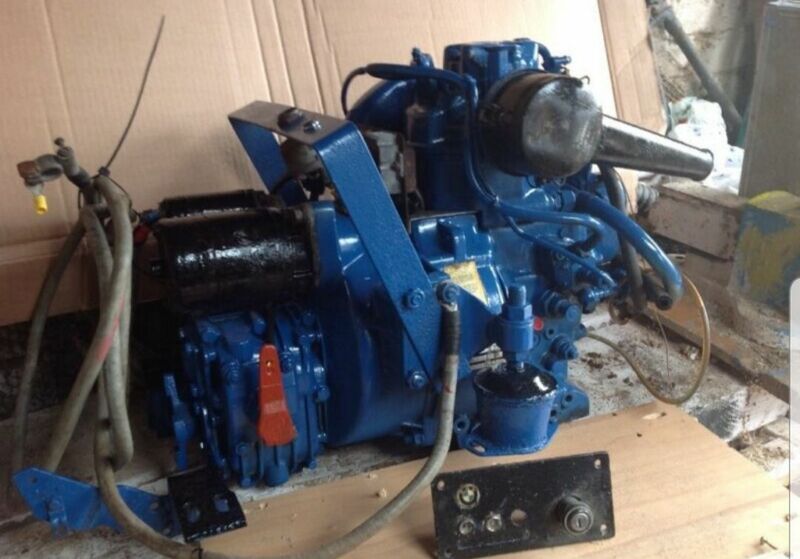 Canal Line engines are an easy drop in swap for BMC 1.5D and 1.8D, are good and not expensive. They may even be able to use your Delta box. why take the boat out of water for the engine change? can easly lift engine in and out with boat in water. if the hull is ok it's easyer to just pull the boat about if it's light. saves filling with water, you'll get away with a month out of water on that sort of hull without causing shrinkage especially in winter. Does anyone think the lister engine will be just fine to the boat or it will be under power to this kind of boats? Its a huge re-engineering job to put an air cooled lister in, are you aware of all the ducting to both sides of the hull that you will have to put in to cool the beast? You will need big holes cut through both sides, do you have enough freeboard to do this? IF ITS NOT A DROP GEARBOX AND MOST 1:1 AREN'T, YOU WILL NOT LINE UP WITH THE STERN GEAR. Sorry to be negative but you are heading into oblivion with this boat unless you get some help and advice you are prepared to follow. Why struggle, there are loads of BMC 1.5D engines around for not a lot of cash. Yours is probably still the best bet if you get it fixed, the knock may not be as bad as you think to fix and the electrics/alternator will be simple. 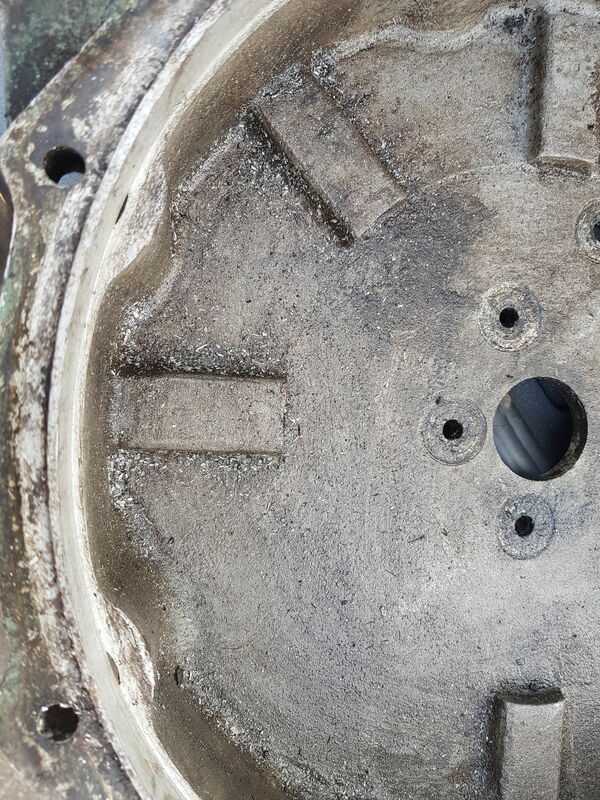 A sticking starter just needs cleaning out usually. I really appreciate the help and the advice but with the bmc it is a long story but to cut it short I got a guy who called himself a mechanic who offered to help fitting the Perkins to the gearbox came out of the bmc but because it wasn't a direct fit he took the bell housing of my gear box off and took it to engineering place to take 5mm off to fit around the flywheel in the Perkins but came back the next day and the gearbox bell house had about 2mm holes in 2 places where they took some of the thickness off now I can't use that bell house because u was told itis too much strength on the gearbox and if I used it like that it will crack, I should of left the bmc where it was and do whatever it take to get it right but itis too late for that now this why I am thinking about another engine with the gear box is my best option, never thought the lister will be a problem so thanks for the advice I really appreciate it. There is still plenty of meat left in that casting, it will be fine bolted back up to the engine. The little holes matter not a damn. 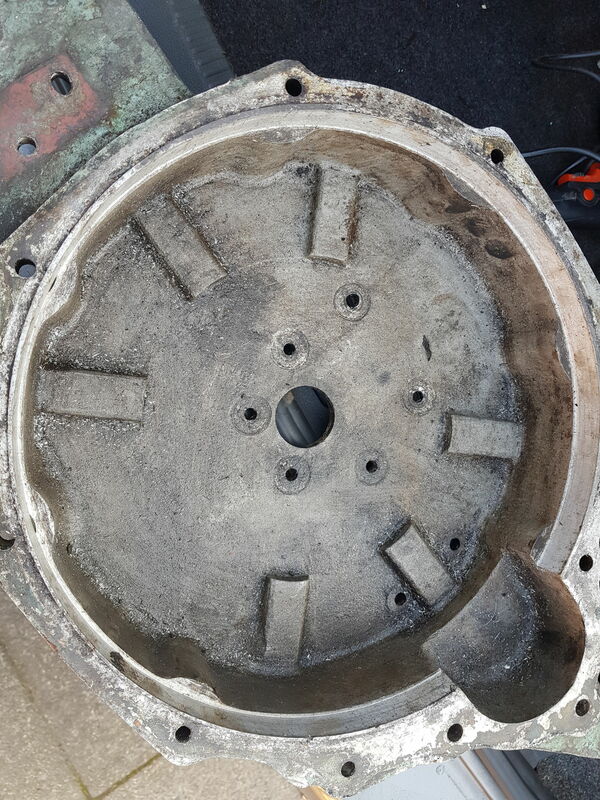 Now find out what the knock is in the BMC, take the sump off and check all the bearings. DO NOT mix up the caps and mark them so they go back in the same place and the same way round. Lets see the bearing journal surfaces on the crank, all 9 of them. Where is this boat located, could someone come and help you? if the bell and box can be used find someone selling a running 1.5 bmc buy it and bolt it to your box, strip your engine down and see what's wrong if simple and cheap fix and either keep as spare or sell to make a bit of £££ back. I asume by the above pics is a clunker or sim boat? Sorry for the late reply, I had my bmc engine stripped down and the mechanic advice a full rebuilt add to that reconditioned diesel pump, starter and a new alternator. Now looking for a another engine complete with the gearbox to make life easier and will sell all the parts that I have. As mention about the boat is 25ft wooden boat and the crane guy that lift it out of the water for me said it is 2.5 tons, is there specific engine will be the best for it or just try to get a decent one and get someone to fit it. I was told no matter what engine I will put in the shape of the hull wont give much speed and I am not bothered about speed really, I am just worried to go for a small engine that will struggle to move the boat around. Like for like would be the easiest. Canal Line do new power units that are an easy swap for the BMC 1.5 and the 1.8 diesels, in the long run it may be cheaper than keep buying knackered engines, reliable and guaranteed. I tried to sort another 1.5 bmc but no luck, I found this engine locally but it looks like it would be small for the boat. There is a BMC 1.5 with 100 hours on it after a complete rebuild on ebay. 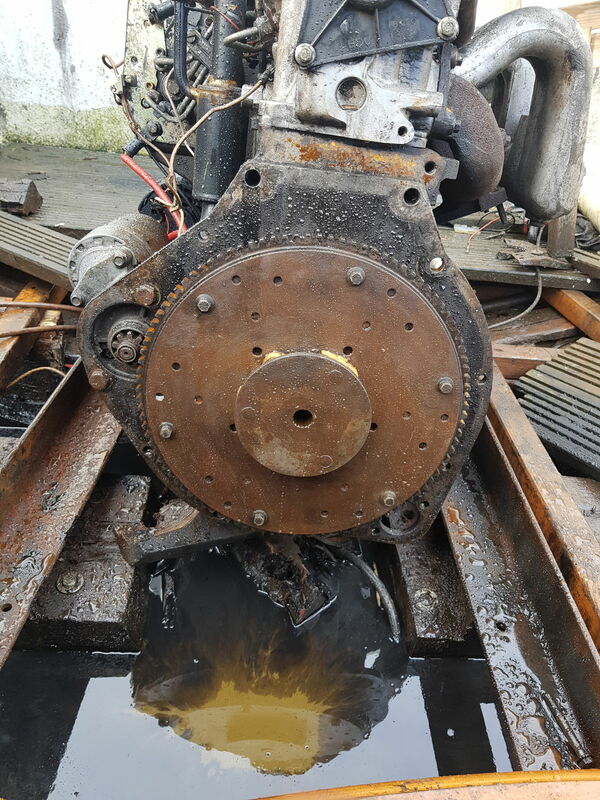 The starter and alternator will recondition at minimal cost, why are you wasting time and money buying totally unsuitable engines that would cost you a fortune to fit in your boat? Do you not understand that everything in the boat is made to fit around a specific engine and gearbox? That's cooling system, engine bearers, prop shaft the works. Its not like dropping a 1600cc engine in a 1300 Cortina. Look, its here, he has rebuilt it. Its not like dropping a 1600cc Cortina engine in a 1300 Cortina﻿﻿﻿﻿﻿. Adjusted that for you! You're right, of course. That BMW 7hp motor makes it more like trying to fit a Morris Marina engine in a Cortina - someone might be able to do it, but a. Why? and b. What a faff for.. what? It's a 25 foot clinker boat. It is a Mini not a Cortina or even a Marina. A 7hp lump would be a much nicer fit than a BMC though I'd go for a classic single or twin thumper than a modern BMW. All perfectly correct but its a long way from just dropping in another engine and on the OPs admission he has not got a clue. How is he going to cope with building and welding engine beds in the correct place in a clinker boat? Does he understand about lining the drive and prop shafts up? Indeed but it isn't as complicated as a metal boat and if he has no clue he will be employing someone to do the engine swap anyway. He may even save money by switching to a more appropriate engine if selling on a BMC needing work as they are usually a lot cheaper than a bigger lump, more economical to run and maintain and so much gentler on the soul.